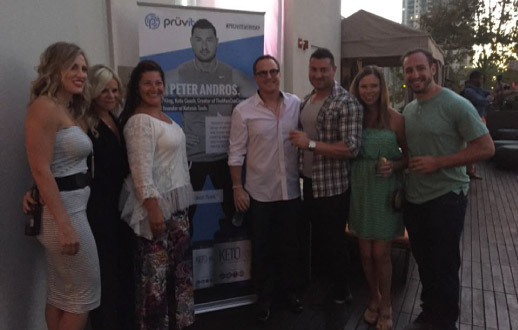 As most of you who have followed me on any social media would also know about my recent trip to the United States to see the guys involved with Pruvit. 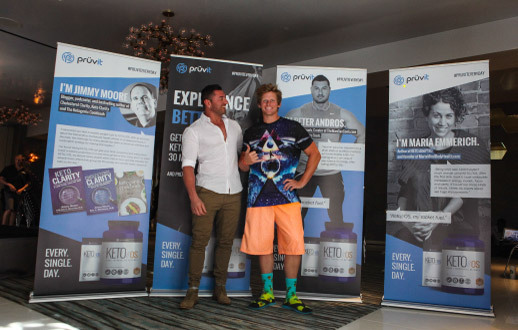 The trip was for a workshop involving the low carb community and to provide information on Pruvit’s new super product, Keto-OS. My first night started with a dinner hosted by Abigail. It was a great experience, as it was one of the first times I can remember sitting at a table and not having everyone being on their phones all night. Getting to know everyone and listening to all of their stories helped me to learn so much about them. One thing that stood out for me was that we weren’t that different from each other. The one striking thing we had in common was that we all wanted to live healthy, humble, and happy lives. One of the most memorable moments of the evening was learning that Abigail likes cake! Lol! Just teasing, because I had some too! I guess that’s another thing we both have in common. When in Rome. 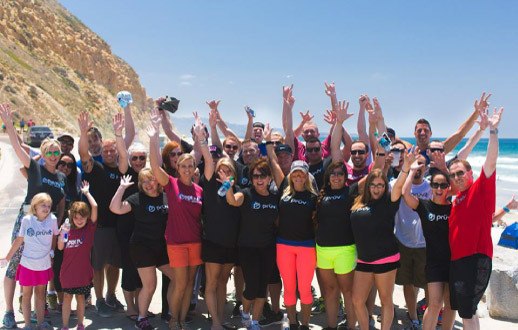 The weekend stared with a Pruvit team walk around Torrey Pines, San Diego. The view was absolutely amazing, as I got to hear a little bit about San Diego’s history. I had time to talk to many wonderful people on this walk, such as Bryon James & Brady Brewer in particular. Then it was time for the Saturday night mixer. The mixer was held on The W Hotel’s roof top. 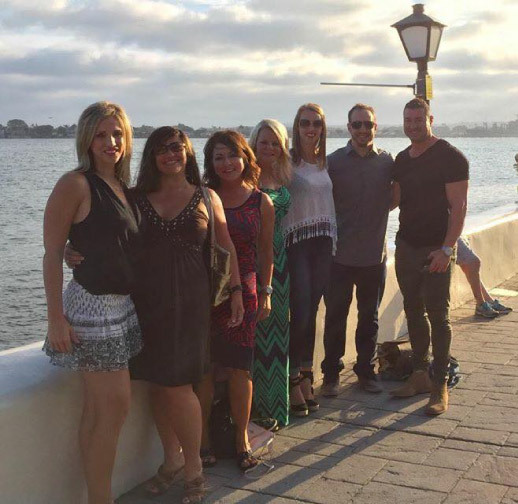 The city of San Diego served as a great backdrop for the Pruvit mixer, and created a wonderful atmosphere for people from all over across the country to engage with each other in conversation. 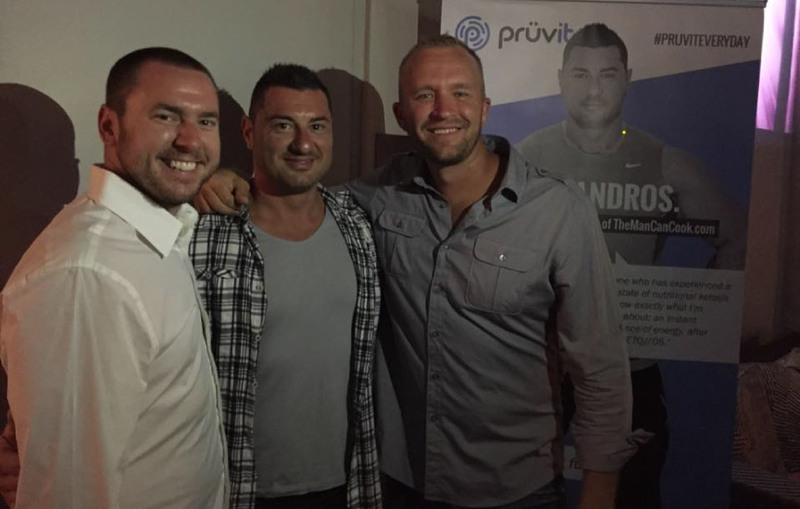 The Pruvit Mastermind event day! The event was great. We got to hear from a wide variety of different people, such as Maria Emmerich, the co-author of the “The Ketogenic Cook Book.” Maria provided an extensive one-on-one lesson on Keto, using anecdotes from her own life and provided some insight into how to incorporate the Keto Diet into one’s life. There was also the medical opinion of Dr. Andrea Campitelli on the Keto Diet, and she did a marvellous job answering the questions from the crowd. I’m sure this provided some relief to the Pruvit event attenders’ concerns. 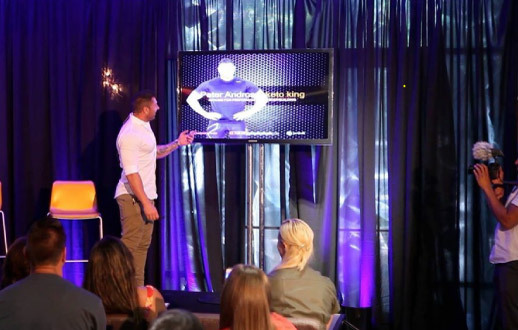 And then the Keto King was announced, which meant it was my turn to speak. 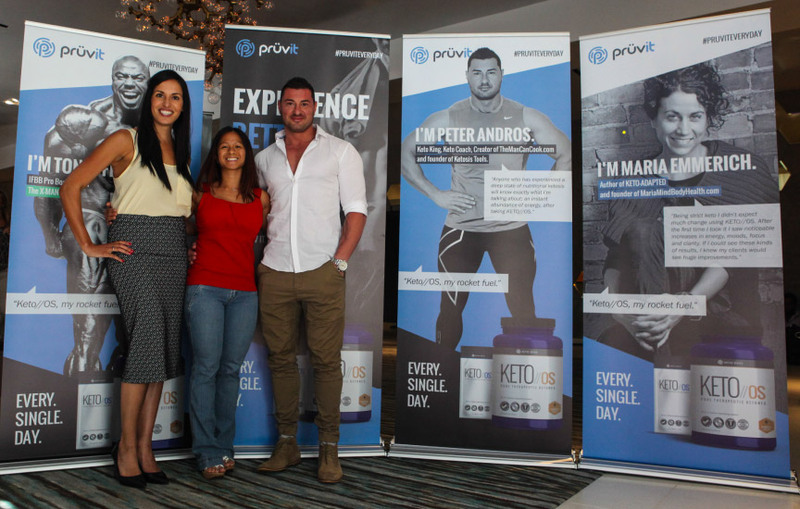 I focused on the importance of performance Ketosis, and how to make it more suitable for the general public. I explained that it is okay to carb load sometimes, as that might be exactly what some people need to get from week to week, and that some may achieve great performance benefits from doing so. Another important speaker we got to hear from was Brian Underwood, the founder. Brian outlined the vision and the direction of the company, and hinted that there were still some exciting times ahead to look forward to. There were a number of other important people from the Pruvit team that we got to hear from, such as Abigail Epps-Kluttz, Bryon James, Rob Deboer, Dustin Schaffer, Michael Beal, and event host, Michael Rutherford. Brian Underwood, Abigail and I had a great time with each other once the speeches were over. It was great to finally be able to speak face-to-face without any interruptions to our Skype calls! We managed to brainstorm some wonderful ideas, and I can’t wait to see them being put into practice. What is most memorable in my mind are the individual stories that were provided by a few of the audience members. 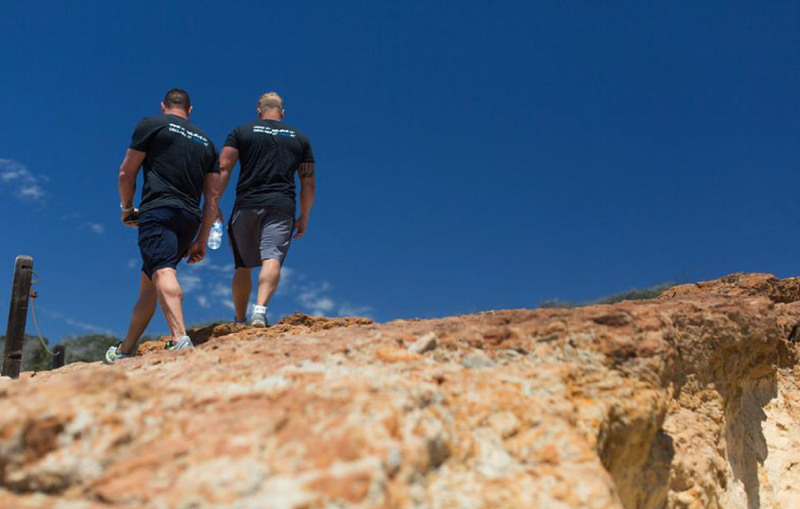 The changes in their lives were incredible to listen to, especially the impact that Keto-OS has had on their medical conditions where common drugs on the market have failed. 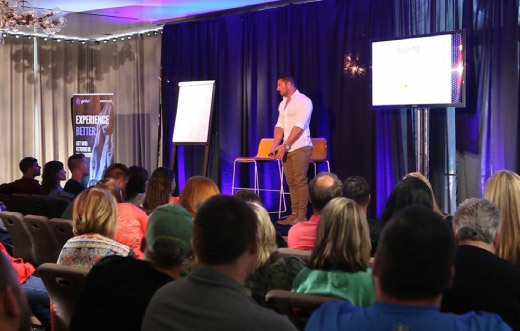 It was wonderful to hear that this product is providing the changes that people need, and it feels great to be part of such a life-changing movement. So thank you to the United States for the hospitality, especially to Abigail & Brian for making it all happen. And to all the people that took the time to come out and meet us all. I really did make some new friends. Hope to be back soon!